With the most recent REF results having been published in December 2014, in which Middlesex ranked as the best modern university in London for research power, research excellence is currently a chief focus for the higher education sector. Middlesex is already making plans for the next assessment in 2020, with Deputy Vice-Chancellor Academic Waqar Ahmad promising that the University "will continue its strategy of investment in research to gain even greater outcomes". Assisting in this push will be Middlesex's new Professor of International Management Anne-Wil Harzing, who joined in September 2014 to help the University raise its research profile. 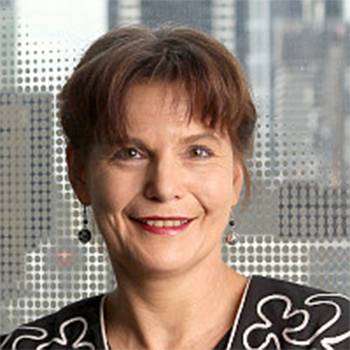 The Dutch academic has 25 years' experience in academia and joins from the University of Melbourne, Australia, where she was Associate Dean Research. Professor Harzing, who publishes on the quality and impact of academic research, is using her knowledge to provide mentoring, advice and networking opportunities to fellow Middlesex academics, as well as identify the areas in which the University can develop during the next REF period. "I work on topics of relevance to all academics," says Professor Harzing, who is probably best known for creating Publish or Perish – a piece of software that ranks research based on the number of citations it has received. Most recently, Professor Harzing has been working on the topic of predatory open-access journals, which attempt to snare unsuspecting junior academics keen to get published for the first time. "They go to great lengths to deceive people," says Professor Harzing of the websites that "prioritise profit over the integrity of academic scholarship" by sidestepping the peer-review process in favour of quick turnaround times. Besides helping academics avoid such pitfalls, Professor Harzing is also a respected expert on international HRM, expatriate management, HQ-subsidiary relationships, cross-cultural management, transfer of HRM practices and the role of language in international business. In 2014, she was the youngest academic featured in the latest version of French series Grandes Auteurs en…, which devoted an entire chapter to her work on international management over the past 20 years. "All of my academic heroes including Edward Hall, Philippe d'Iribarne, Geert Hofstede, Howard Perlmutter, Yves Doz, CK Prahalad, Chris Bartlett and Sumantra Ghoshal are in the book, so I am incredibly honoured to be listed among them," says Professor Harzing, who was also ranked 32nd worldwide for publications in the field of International Business in a recent article published in Management International Review.